Is Phil Heath The Gift that keeps on giving—and getting? He's the reigning Mr. Olympia champion, seeking his second win. Going into last night's prejudging, he was the smart money to win the 2012 Sandow. The reigning champ is almost always favored. You can't just edge him out at the finish line; you have to knock him out. 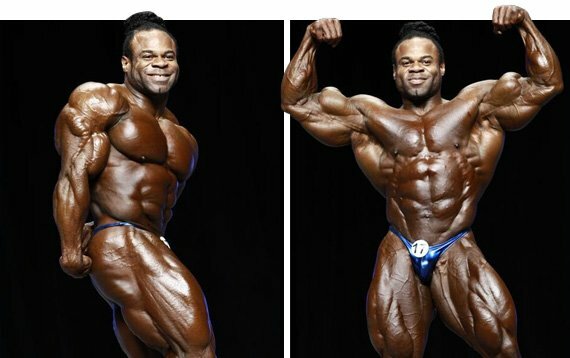 After this year's preliminary judging, it was clear there was only one man standing in Phil Heath's way: Kai Greene. Predicting the final results of bodybuilding shows after the judging rounds is much easier than trying to interpret political polls or astrological charts. Considering the Mr. Olympia has been held in Las Vegas for several years, the judges are still terrible poker players. They usually show their hands, or at least hint. Maybe, just maybe, they've learned a little Vegas entertainment and know how to inject a good dose of drama into what many thought was a foregone conclusion. Here's how last night's drama played out. Phil Heath was the first man called. He took center stage as the crowd applauded in wild approval. After a respectful pause between the champ and his biggest threat, Kai Greene was called second. The two men stood center stage, and for long seconds it seemed that the top two was a done deal. They might be the only ones considered for the Sandow. Then, the judges showed they had an ace in the hole. They called Shawn Rhoden to join Kai and Phil. Shawn placed 11th at last year's Olympia and he finished 8th at the 2012 Arnold. Those are good placings, but few outside his inner circle were expecting him to be called so close to the top of the Olympia stratosphere. Then two other bodybuilders were asked to join the first callout, making it a party of five. These included Branch Warren and Dexter Jackson, both perennial favorites at top-level bodybuilding shows. Jackson, The Blade, is the only previous Mr. Olympia in this year's competition. He sliced Jay Cutler's four-win string in half, besting Jay in 2008. 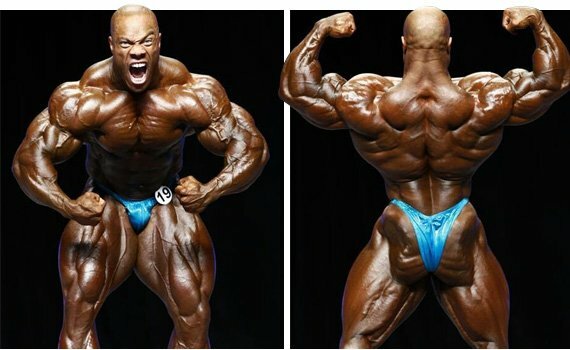 Then Phil Heath held Jay to his second run of two-in-a-rows, beating him last year. Cutler, still in his 30s, is considered by many to still be a threat for the biggest prize in bodybuilding, but he chose to sit out the 2012 competition. At the end of tonight's scoring, the judges all but dropped their cards on the table, calling Kai and Phil back for a 1-2 comparison during the sixth and final callout. "They say you have to knock the champ out," said emcee Bob Cicherillo as Phil hit a back double biceps pose. Kai stutter stepped, then swung a good-natured mock punch at Phil before hitting his pose. Only one question remains: Which of these two men is going to win? Phil Heath is one of the most gifted bodybuilders in the sport's history. He carries mass, symmetry, and an aesthetic physique. You can quibble about comparisons to previous champs: Dorian and Ronnie weren't as aesthetic as Phil; Frank Zane and Arnold didn't pack as much total mass. This isn't to say that Phil Heath is the best-ever Mr. Olympia, but that his weaknesses are less obvious than those of some former greats. Of course, previous champions won because of their overwhelming strengths; they didn't lose because of lesser weaknesses. Kai Greene matches up well with Phil Heath, though. The Predator beat Phil in thigh poses and pushed the champ in other areas, as well. Heath is the 13th man to win a Sandow, raising the question of whether that number is a blessing or curse. The judges will answer that when they render their decision tonight. Based on Olympia history, you'd have to bet on Heath to bookend last year's win. Of course, Vegas is full of surprises. Let's see what's in the cards tonight. Phil and Kai were asked to step back after the first callout so the judges could consider how to place the other top finishers. They added Toney Freeman, Dennis Wolf, and Evan Centopani to the mix, creating a second callout of six men. Johnnie Jackson and Ben Pakulski, among others, are in the mix for a top-ten finish. No matter how you cut it, the Mr. Olympia is a deck loaded with top-tier physiques. The biggest question about this year's Mr. Olympia may be: Who's going to finish third? Will the judges give it to relative newcomer Shawn Rhoden, previous champ Dexter Jackson, or perennial top-finisher Branch Warren? Tonight will tell.